I came to understand what their newfound freedom ― it is the only way I can describe what has happened to my beautiful child, what their newfound freedom to wear a dress, to rid themselves of some conformist stereotype of what they are, to be able to express who they are at their real core. … My child is free to be who they are. 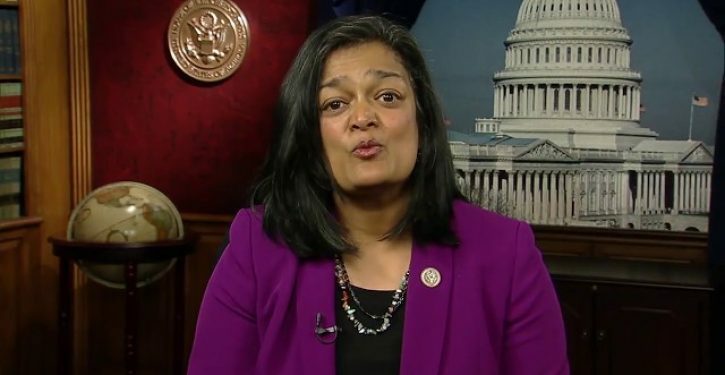 But we now know, thanks to Jayapal, that this measure has nothing to do with “fairness.” It has everything to do with controlling and legislating the behavior of every single American.